Pre-orders are now live for a DC Comics – Batman Incorporated Suit 1/5 Scale Statue from Prime 1 Studio. 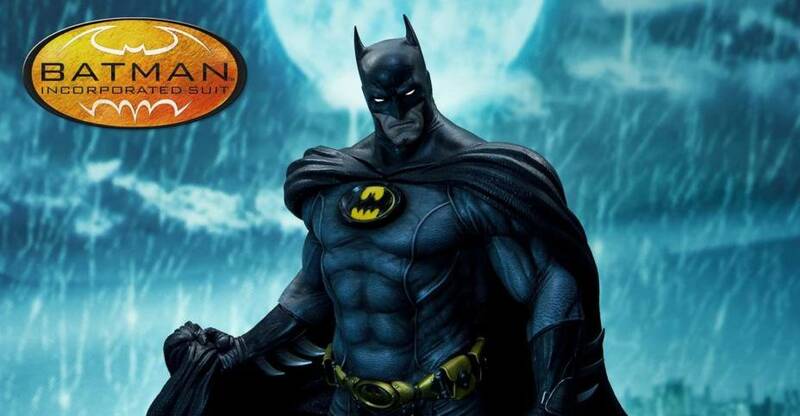 The 19″ tall statue showcases Batman standing on a stylized base. Batman includes interchangeable left hands. One is a fist, the other holding a Batarang. Prime 1 is also offering an Exclusive Version, which includes a second head sculpt. The statue is due for release between May and July of 2020. You can pre-order at the links below, and see the photos after the jump. Official photos and details have been released for a new Marvel Comics – She-Hulk Statue coming from Sideshow Collectibles. The 1/5 scale statue is cast in polyresin, and all details are fully sculpted, with no cloth elements used here. She-Hulk stands over 17.5″ tall, and includes a NYC style diorama base. 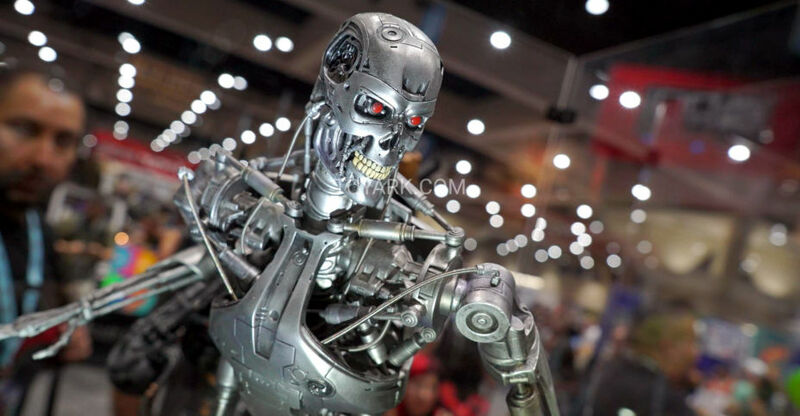 Sideshow will be offering a Collectors Edition, priced at $435, and a Sideshow Exclusive Edition, priced at $450. The Sideshow Exclusive version includes an interchangeable classic style portrait. Pre-orders will go live starting Thursday, December 13th between Noon and 3:00 PM Pacific Time via SideshowToy.com. You can see photos and additional details after the jump. 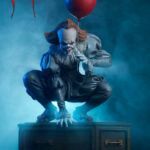 Tweeterhead has released photos for their upcoming IT (2017) – Pennywise 1/5 Scale Statue. 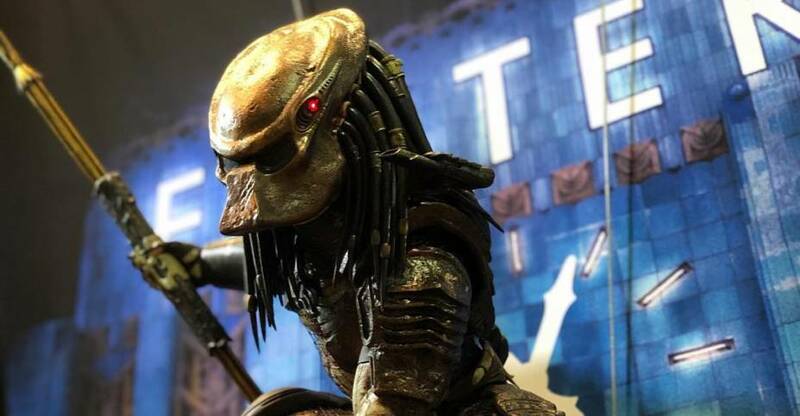 For this upcoming statue, they worked directly with director Andy Muschietti, who came up with the initial design of the statue. There will be a standard and an exclusive version available, both priced at $349.99. The exclusive version includes a Richie Tozier doll in coffin, swap out right hands, including one with a red balloon, removable tentacle legs that attach to the base, and a certificate signed by all those who worked on the statue. See the new images by clicking the headline of the story. FINALLY!!! Our Pennywise Gallery is UP! Pennywise goes on pre-sale on next Tuesday, Oct 2nd. The Tweeterhead exclusive includes everything you see here as well as a certificate signed by all the amazing people who helped make this incredible piece come to life. Pennywise is 1/5th scale (larger than anything we have done yet) and will retail for $349.99. The EX is the same price as the regular edition. 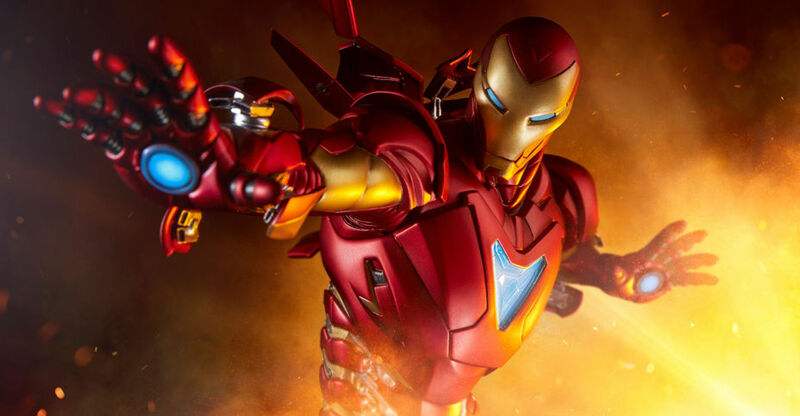 Sideshow Collectibles has shared the full reveal of their new Marvel Comics Iron Man Extremis Mark II Statue, which is part of the new Adi Granov Artist Series. The new Iron Man Statue is 1/5 scale, and stands over 21.5″ tall. He is shown mid-flight, atop a themed statue base. Pre-orders begin on March 12, some time between 9:00 AM and Noon Pacific Time. 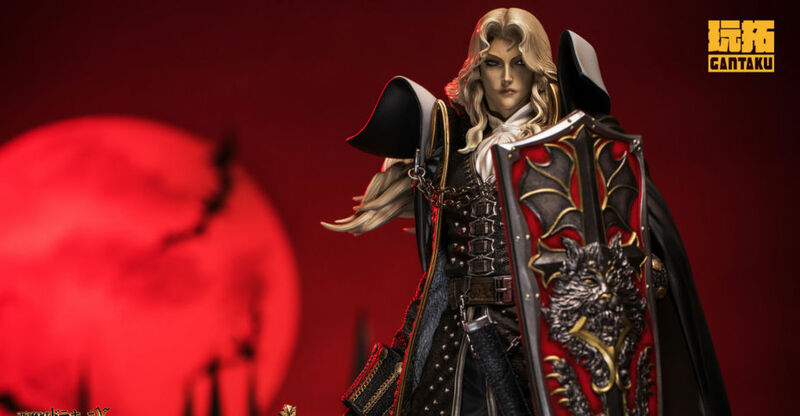 There will be a Standard Edition ($505) and a Sideshow Exclusive Edition ($520). The exclusive version includes a swap out open mask portrait. See all of the new images by clicking the headline of the story. The Exclusive edition of Iron Man includes an alternate portrait with a lifted helmet faceplate revealing Tony Stark unmasked as he pilots the powerful armor. Sideshow Collectibles has released photos and details for their Avengers Assemble – Grey Hulk Statue. 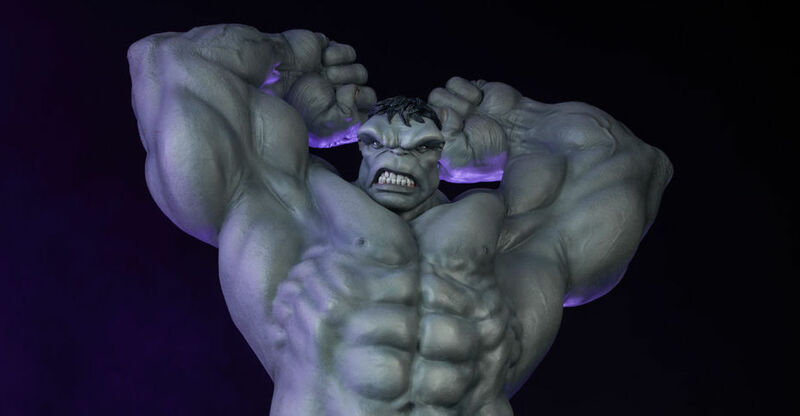 The upcoming statue is a repaint of their previously revealed Hulk Statue. This 1/5 scale statue stands over 23″ tall atop a rock themed statue base. Pre-orders begin on Thursday, June 28th some time between Noon and 3:00 PM Pacific Time. The statue is priced at $585. Click the headline of the story for all of the new photos. The polystone Grey Hulk Statue is sculpted in incredible detail, with realistic textures on his elbows and knees, and monstrous musculature in every inch of this hulking hero. His grimacing portrait features a large brow and shaggy hair, inspired by his earlier appearances in Marvel comics. The Grey Hulk also has entirely sculpted blue pants, which are intricately detailed with a fabric-like appearance, as if they are actually tearing as a result of Bruce Banner’s monstrous transformation. This epic Avenger is limited to an edition size of only 500 pieces, so don’t miss your chance to add a bit of gamma-power to your Marvel collectibles. Check out the first official photo released for the Jurassic Park – Triceratops 1/5 Scale Bust coming from Chronicle Collectibles. 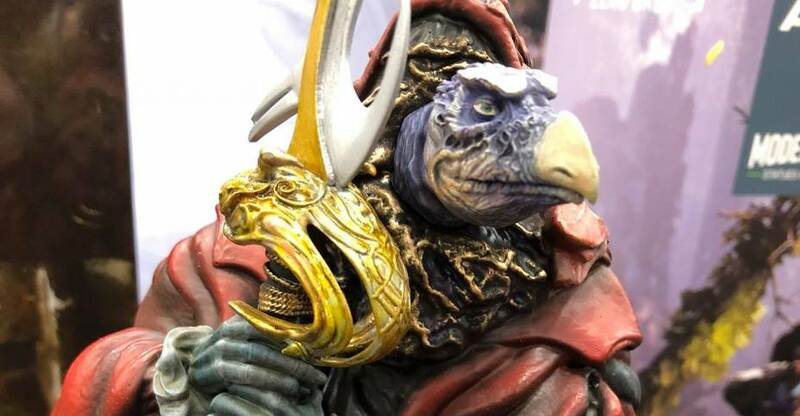 The bust is made from a 3D scan of a scaled own version of the sick Trike from the film. Pre-orders are set to kick off tomorrow at 3:00 PM CDT. The bust is priced at $750 with payment plans available. Check out the official details below and click the headline for more images. 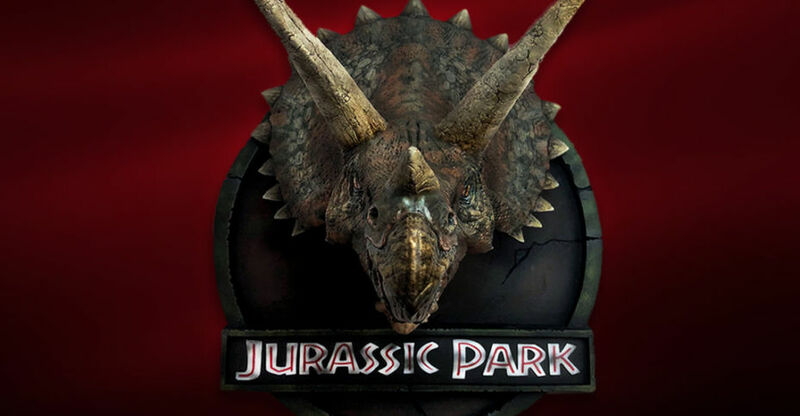 We are continuing are highly successful 1:5 scale Jurassic Park bust line with the world’s first officially licensed 1:5 scale Triceratops Bust from the original Jurassic Park! Pre-orders are now live at ChronicleCollectibles.com.